The Hatters support made the long journey north, to Rochdale, hoping that Nathan Jones side could notch up another win. However, they had to be content with a point after Rochdale produced a performance that belied their lowly status in the League One side. 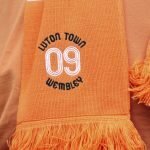 Furthermore, the Hatters had to play out the last twenty minutes of the fixture with just 10-men after Danny Hylton, not for the first time in his career, was shown a straight red card for a bad challenge with, on this occasion, Ian Henderson being the victim. Luton, looking to improve on their fifth position in the League One table, were put under long periods of pressure by their hosts and James Shea had to be on fine form to stop efforts from Henderson and Brad Inman from scoring. Further efforts from Matt Done and Jordan Williams raised anxiety levels amongst the away support but the Hatters gallantly hung on to return south with a share of the spoils and remain in fifth place in the table. Next up for the Hatters is an FA Cup 1st round tie, at home to Wycombe Wanderers, next Saturday.